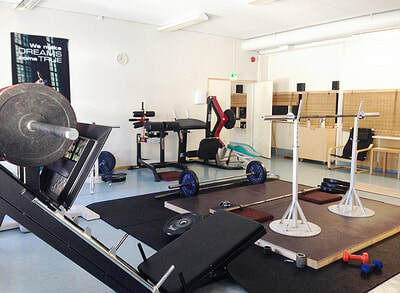 If you've decided to go with one of the accommodation packages then you'll be staying at Campus Norrvalla (within walking distance to all classes, dances, and restaurant). Please read the accommodation info carefully! 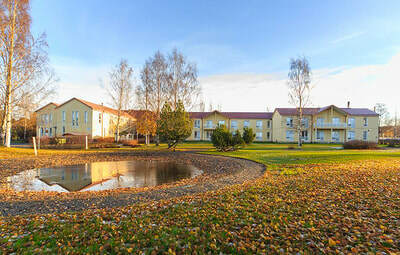 The campus area is situated close by the small city of Vöyri, near Vaasa, and it's surrounded by fields and forests. It offers mainly 2-4 person rooms. It's not a luxury hotel, but rooms are nice and clean and the restaurant serves ample buffet meals. 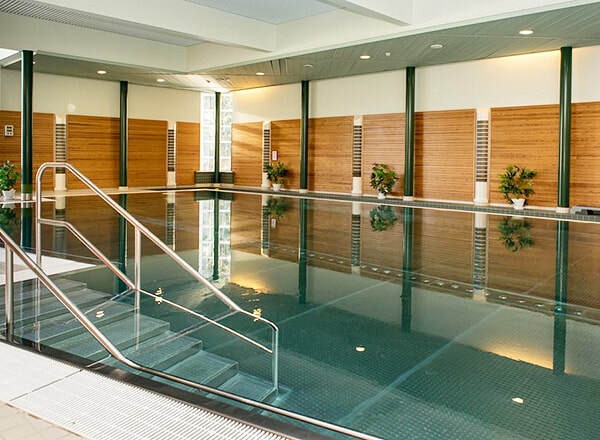 We've booked the swimming pool, and gym for you, so you'll be able to practise your swingouts in the pool after class. There’s also a small shared kitchen area if you want to do some cooking. Norrvalla has a large parking lot, in case you're arriving by car. 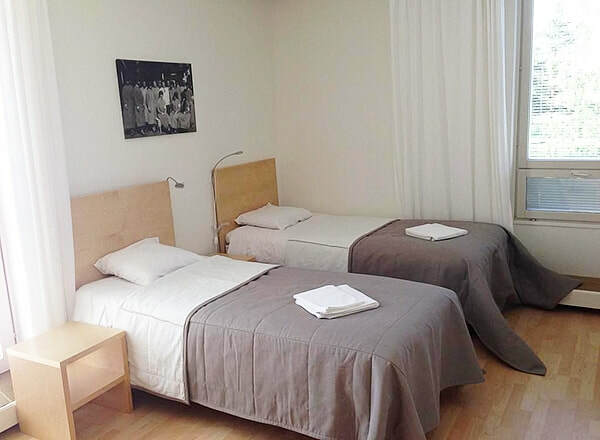 Should you choose our campus accommodation package, then included in the price is 2 nights at Campus Norrvalla (2-3 person rooms in the main building), Friday dinner + Saturday breakfast, lunch, and dinner + Sunday breakfast and lunch at Restaurant Norrvalla. NOTE You may want to bring your own shampoo, conditioner, and hair dryer. You DO NOT need to bring towels or bedclothes. Please note that you may get colored towels & linen, we cannot guarantee white ones. PLEASE keep the room key and phone separate, otherwise your key may stop working (your phone may interfere with the magnetic stripe in the key card and cause it to stop working). The campus reception is open 9-21. Dejour 21-9, call +358-44-788 3771. Check-in at the campus reception between 9-21, check-out Sunday at 12 (ask for late check-out, they're usually ok with it but be prepared that your room key may stop working and you'll need to re-activate it at the campus reception). After check-out you'll be able to store your bags in the locker rooms, where there's also access to showers. Should you choose our boarding hall accommodation package, then included in the price is 2 nights at Campus Norrvalla in their boarding hall building (bunk beds, you will most likely share this room with another couple), Friday dinner + Saturday breakfast, lunch, and dinner + Sunday breakfast and lunch at Restaurant Norrvalla. Should you choose our general accommodation alternative, then you'll be staying in a classroom at Norrvalla, sharing it with others. Please bring your own mattress or sleeping bag, pillow, bed linen, towel, shampoo etc. 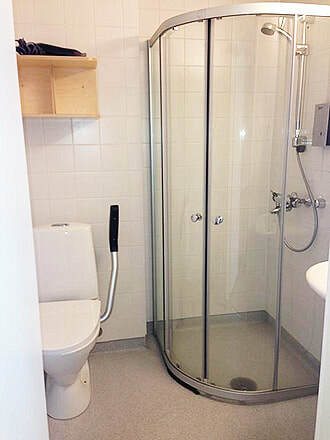 There's access to showers and toilets in the campus's public dressing rooms. 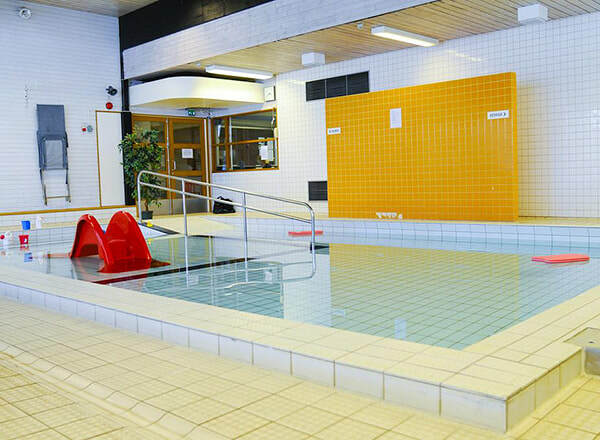 You'll also have access to the pool, sauna and gym. Friday dinner + Saturday breakfast, lunch, and dinner + Sunday breakfast at the campus restaurant is included in the price. There’s a small shared kitchen area, in case you wish to cook your own meals. Norrvalla has a large parking lot, in case you're arriving by car. 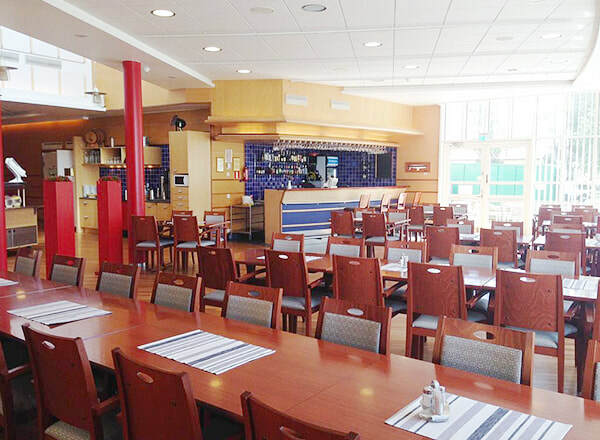 Breakfast, lunch and dinner at the restaurant is included when you register for one of our accommodation passes. The restaurant seats up to 200 guests and is fully licensed. Open daily from 9-20. The campus cafe is open between 9-24 everyday if you want to buy some extra snacks or drinks. Please notify the restaurant of any allergies or diets! 8,70 euro / person (only applies to those who have not chosen accommodation at Norrvalla. All meals are included in our accommodation packages). Download an area map of Norrvalla here. 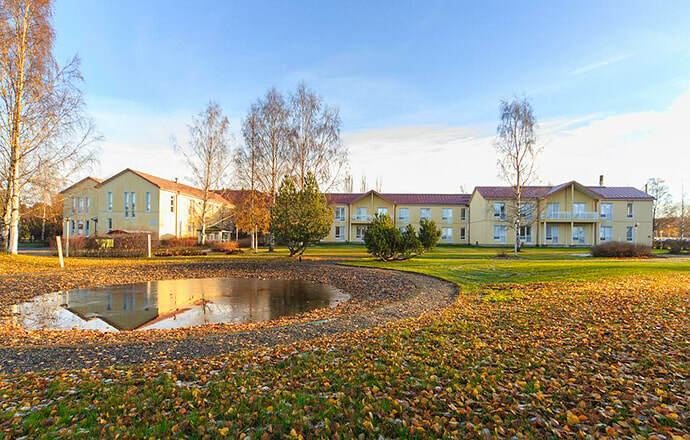 Other accommodation alternatives in and near Vaasa. Air BnB > Search Vöyri.